Merlana is a small village near Trivignano Udinese, 15 Km. 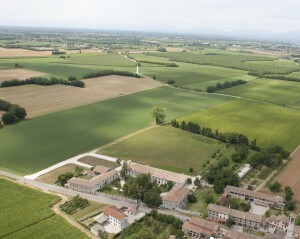 South of Udine, 5 Km. 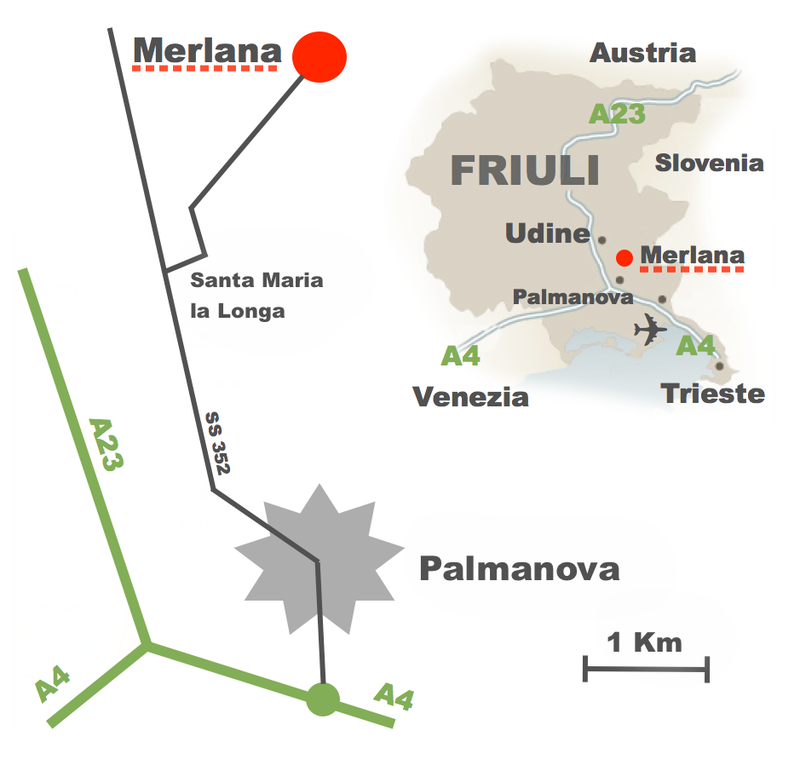 from the Palmanova exit of the Venice-Trieste motorway, half an hour by car from Trieste – Ronchi dei Legionari Airport. Set aside from the main roads, like the near by Claujano, it is known as one of the prettiest Italian rural villages, and has kept its ancient appeal, becoming even more attractive after the restoration of many of its houses, by maintaining all their traditional characteristics . It is at the same distance, roughly 20 Km. from Aquileia and Cividale del Friuli, the main cultural attractions of Friuli, both classed as World Heritage Site by Unesco.